The completion of the transaction has been achieved post satisfaction of all customary closing conditions, including all requisite approvals. 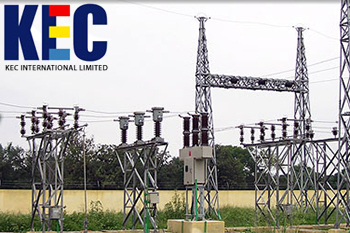 KEC International Ltd. (KEC), a global infrastructure EPC player has announced the successful sale of its 99.99% stake in KEC Bikaner Sikar Transmission Private Limited (KECBSTPL) to Adani Transmission Ltd. (ATL) at an Enterprise Value of ~Rs227.5cr. The completion of the transaction has been achieved post satisfaction of all customary closing conditions, including all requisite approvals. The sale was previously announced on November 03, 2018, and has completed effective today. KECBSTPL is having an operational transmission line of 344 ckt. Kms in the state of Rajasthan from Bikaner to Sikar. Vimal Kejriwal, MD & CEO, KEC International Ltd. commented, "We are happy to successfully complete the sale transaction of our entire stake in KEC Bikaner Sikar Transmission Pvt. Ltd. to ATL. Our decision to sell our stake in KECBSTPL is in line with our asset light model of operations. This sale is in line with KEC's strategy to focus on its core EPC business."